If you’re looking to improve your chances of passing EMC testing and would like to lower the risk of failure, pre-compliance testing is a great way to go. There are a ton of options and with a focus on emissions testing, this guide aims to comprehensively break them down according to several factors such as cost, usefulness and skill level. Many companies don’t do any pre-compliance testing before they send their product off to a test lab. And honestly, some get away with it – they pass first time and they’re off to the races. But for most companies, the prospect of failing EMC testing poses a substantial enough risk to project timelines and budgets that pre-compliance testing is a necessity. 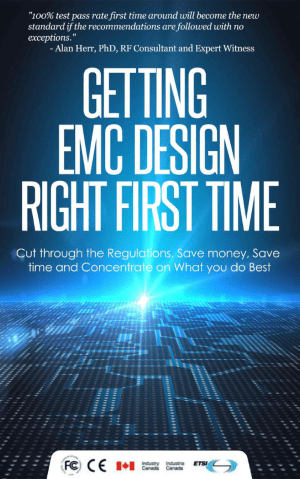 Hitting EMC problems at an EMC lab can literally cost your company tens of thousands of dollars in debugging time, re-design costs, re-testing costs, re-manufacturing costs and delays to your critical time to market schedule. Pre-compliance testing is essentially an exercise in de-risking the certification process. It attempts to transform a relatively unknown risk into a known risk and seeks to give a higher level of confidence that a product will sail through through finals testing first time around. Any problems you find can be fixed in a PCB or product revision that you were going to do anyway for other reasons. For example, if you do pre-compliance testing on a pre-production batch run and find an EMC problem. Any changes and fixes can be rolled into the final production run. In-house pre-compliance testing is generally much cheaper to do than full compliance testing at an accredited EMC test lab. Typical lab rates are anywhere between $180/h USD and $250/h USD. If you catch any potential issues before you get to a test lab, then you’re going to save a lot of expensive lab time. If you’ve gone ahead and assumed that your product was going to pass EMC testing and already pressed the ‘Go’ button on a production run of product which you’ve sold to your customers and you fail testing, then you’ve just made some expensive beer coasters. It’s sometimes possible to re-work existing product to implement EMC fixes, but this is usually labour intensive and high cost in terms of EMC suppression products. This happens way more often than you might think. Related to the last point, it’s much cheaper to implement an EMC fix on a circuit board than it is to add a remedial fix once the design is finalized. For example, an R-C low pass filter on data signals just before they traverse a radiating cable may cost you $0.002 per PCB, but if the PCB is finalized and you need to find a solution to radiating cables without altering the PCB, a cable choke may cost you $1+ per cable plus debug time. Another example is solving power supply noise on a PCB rather than having to buy a much more expensive low noise power supply adapter or brick. Careful design of the PDN (power distribution network) could save you several dollars per unit if you’re relying on a low noise power supply to suppress noise. There are a ton of reasons to do pre-compliance testing. If you’re not doing it, you’re leaving the door open to an unknown cost and project delay liability. Pre-compliance testing can take many forms. In most cases, pre-compliance testing involves an attempt to simulate the methods (or a close approximation to it) that a full compliance lab would undertake on your product. For EMC, that means quantifying the emissions coming from the product – both radiated and conducted, and for the products that will be subjected to immunity tests (for example CE testing and some product standards), some other electromagnetic phenomena will be applied to the product as well. For wireless products, you can also do RF pre-compliance tests. (Covered in an online 12 module training course). Long story short, pre-compliance testing is any way that you can mimic what a test lab is going to do to your product to increase the chances of passing at a test lab. What Are The Pre-Compliance Trade-Offs? Budget – How much will it cost to buy or rent the solution? Time – How long will it take to undertake the pre-compliance test? 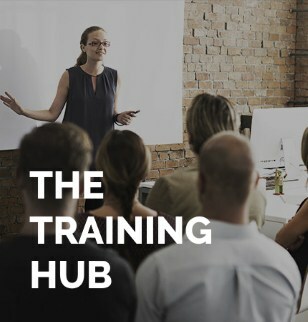 Expertise – What training will you need to get up to speed on the technology? Likelihood of failure – What are the most likely failure modes for my product? ROI – What kind of ROI will you see in terms of time and money for an investment in a pre-compliance solution? Keep these thing in mind when viewing the various option below. I’ll quickly give a top level overview of some pre-compliance options, then in the next section we’ll dig into some actual solutions. The money you spend is not being invested in a long term asset such as test gear or training. A great way to do pre-compliance testing is at your own office. It’s convenient, but comes with a few downsides too. Better set-up to try out your product early in the design cycle. You can re-verify often to make sure any developments don’t impact the EMC performance. You can re-use your test equipment on many different projects. The ROI of purchasing pre-compliance equipment can usually be justified within months, depending on how many products you design per year and what tests are necessary. You may not get the same results as a test lab. (I’ll talk more about this below). Some methods are only good for relative measurements, not absolute measurements. You need to learn how to do the tests and what you’re looking for (training required). You might be one of the lucky few and live near to an EMC equipment co-op. I’ve heard of a couple available in the UK and the US. Essentially it’s a store of test equipment that you can go and use yourself for a fee much cheaper than a full test lab. Alternatively, there may be some other electronics companies in your area that have some test equipment that you could borrow or rent. EMC testing tends to happen in short bursts during a design cycle, so test gear often lays dormant for months. Ask around in your community – you might be surprised who has an ESD simulator or spectrum analyzer lying around. Let’s start with the most common EMC tests. Radiated emissions. These tests are required for most electronic and electrical equipment that will be sold into any major market in the world. FCC testing for instance mandates radiated and conducted emissions testing, as does CE Mark (Europe), VCCI (Japan), RCM (Australia), CCC (China) etc. One of the most overlooked pre-compliance methods is a very robust and systematic schematic and layout design review. It isn’t really pre-compliance ‘testing’, but it does exactly the same thing. i.e. it substantially reduces the risk of your product failing at an EMC test lab. This is really my favourite method to increase chances of passing testing first time around because you can catch so many potential emissions and immunity problems in one design review. Rather than doing pre-compliance testing for radiated emissions, ESD, surge etc.. a solid design review will catch many of the root causes of these issues even before your first PCB is manufactured. At my EMC lab and at EMC FastPass we’ve had great success increasing the first time pass rate of our clients up to 90%+ using a design review alone. Compare this to an average first time pass rate of <50% (there aren’t robust statistics available on this but I’ve seen this number quoted on a few industry sites). If you’re interested in this route, I’m now offering EMC design reviews as a service. This option is for the high rollers. Typically reserved for companies with deep pockets and those that design several products per year. A second hand 3 meter chamber may cost $100k+. You can typically get results quite close to those that a test lab would measure for final testing. Factor in a few dB margin of error and you basically have yourself a fully functioning emissions measurement facility. In this case, you’ll also need a decent spectrum analyzer or EMI receiver, and antennas covering the frequency range of interest for your product. It is possible to find used chambers, but beware that the effectiveness of the material lining the chamber, used for absorbing the RF energy and prevent it from bouncing off the metal walls, degrades over time. As the material degrades, reflections increase and measurements become less reliable. When you have a chamber installed, you need to do an NSA (normalized site attenuation) survey which will tell you how close your setup is to an idealized site. An open area test site (OATS) is what many accredited test labs use to perform the final measurements when testing products. An ideal OATS is constructed according to the standards ANSI C63.7 and C63.4 and/or CISPR 16-1-4 for Europe. As there are no walls, the signal received at the antenna is just a combination of the signal received directly from the equipment under test (EUT) and the signal that has bounced off the metallic ground plane. This is a good second best option to having a chamber. The downside is that it’s more difficult to see what emissions are coming off the product because you’re not shielded from ambient radiation. Wherever you set up your OATS, whether it’s outside in a field or inside a large room in your office, you’re going to see extra signals such as those from FM stations, cell phone band and a bunch more. If you’re within city limits, the spectrum can be pretty full up across the band of interest. Listed below, you’ll find 3 different types of open area test sites in descending order of cost and accuracy. If you have the luxury of setting up a 3 meter or 10 meter OATS in a field or outdoor location, it’s a good way to go. Construction of an OATS is no small project. Depending on what quality of equipment you go for, you could probably put one together for $20k. If you choose high end gear, you could easily spend $50k – $100k. If you need help with constructing an OATS (with the option of registering it with the FCC), sourcing test equipment and setting up procedures, I do offer consulting services. I’ve set up and registered (with the FCC and Industry Canda) my own OATS from scratch, so I’ve been through this loop before. Contact me at andy@emcfastpass.com if you want to discuss your requirements. Many companies just re-create an outdoor OATS in a big room such as a board room or loading bay. Typical separation distance between the EUT and the measurement antenna is 3 meters or 10 meters, but you can get away with closer at the cost of measurement accuracy. Typically the lowest measurement frequency is 30 MHz which has a wavelength of 10 meters, and as you approach the near field, the measurement can be influenced much more by positioning of the antenna. While this isn’t strictly an ‘OATS’ this setup can still be useful for absolute measurements because you can achieve a close approximation to the test lab’s results, but you’ll likely have some issues with reflections and ambient noise. Your time will be spent working out what is coming off your product and what is just background noise. For this reason, many companies choose to get an emissions pre-scan done at an EMC lab, then if they run into problems, they have a record of which frequencies to focus on at their indoor OATS back at the office. You’ll also need a decent spectrum analyzer with low noise floor (probably a pre-amp required) and a proper measurement antenna. It’s possible to implement an even cheaper indoor version of an OATS with just a low end spectrum analyzer and a hacked together antenna (piece of wire or coat-hanger). This can be good for debugging a product that has failed at an EMC lab, but won’t be much good for absolute measurements. That means you’ll be able to do relative measurements to check whether any fixes you’ve implemented have an impact on the amplitude of frequencies of interest. This type of setup is more suitable for debugging rather than pre-compliance testing, but as you get more confidence in the results, you may begin to get a feel for a correlation between near and far field measurements. For this type of setup, it’s even more critical to keep the EUT, cabling and ‘antenna’ in exactly the same positions because you may be operating in the near field. Even the smallest positional changes can impact your readings by several dB. To be sure that you’re measuring the change from your fix, everything else in the test setup has to remain the same. These things are pretty cool. They’re like semi-anechoic chambers but much smaller. They’re shaped like a wedge and integrate a stripline antenna that can act as a receiving or transmitting antenna. The EUT is placed inside the GTEM, between the antenna and a resistive load. The size of the EUT is restricted to a cubic area within the GTEM, but GTEMs do vary in size from small (50 cm) to a few meters. GTEMs are useful for both emissions testing and radiated immunity testing. Given the small dimensions, it’s much easier to generate a large electric field of 30 V/m or higher using much smaller power-amps than you would need in a SAC. The FCC have issued a couple of KDBs (Knowledge database articles) about the usage and acceptability of measurement results obtained from GTEMs. Under certain circumstances, the FCC will accept measurement data from GTEMs as proof of compliance. I chatted with a technical assessor at an accreditation body about GTEMs and they strongly advise against their usage as they can yield much different results both for emissions testing and radiated immunity testing. They warned that even for pre-compliance testing their results should be taken with care because they can vary so much from an OATS or chamber. However, many reputable companies still choose to use them and if you’re interested in exploring their usefulness further, Nokia released a good technical note on the correlation between their GTEM, OATS and chamber which makes for some interesting reading. The ease of use, cost and time saving (you can do 8 hours work of emissions testing in less than 1 hour in an automated GTEM) draw many manufacturers in. If you include a healthy margin (say 10dB) and make sure the GTEM has an automated turntable so that the automation software can resolve the emissions profile from 3 dimensions, you can still get meaningful data. I know several companies that legally use a GTEM to show compliance to radiated emissions and immunity standards in Europe (for CE Mark compliance) as well as use it for pre-compliance testing. I’ve partnered with a great manufacturer call Tekbox to be able to offer low cost TEM cells to EMC FastPass readers in the online test equipment store. Kenneth Wyatt describes a measurement technique that can be very useful in determining the radiated noise contribution of external cabling. By measuring the RF common mode currents present on each of the cables connected to your product, you can easily extrapolate an approximation to the far field electric field strength that would be measured at an EMC test lab due to these cables. This can be a really good and inexpensive method to sanity check whether your cabling is likely to meet the radiated emissions requirements at a test lab. In the article, Kenneth describes how to make your own probes (cheapest route) as well as suggesting a commercial alternative which would be in the $1k to $2k price bracket. For most electronic equipment that connects to a public AC power source, either directly or via a power adapter, regulatory bodies prescribe limits to the amount of noise that the equipment can inject back onto the power grid. At an EMC test lab, the equipment they use to test these emissions is just a LISN (Line Impedance Stabilization Network) and a spectrum analyzer. You may need other equipment such as CDNs, depending on your set-up, but for the purposes of this post, we’ll just focus on LISNs. 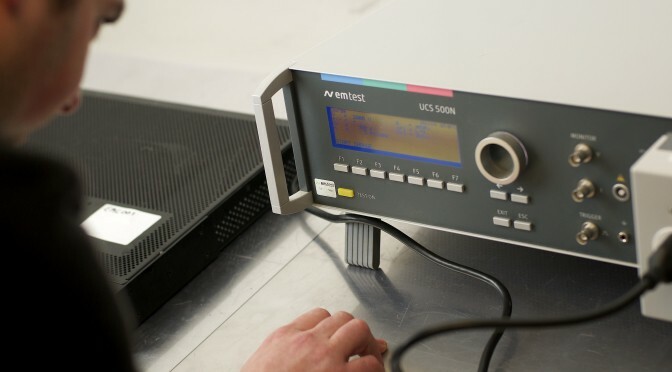 A LISN is a low-pass filter typically placed between an ac or dc power source and the EUT (Equipment Under Test) to create a known impedance and to provide an RF noise measurement port which connects to a spectrum analyzer or oscilloscope. It also isolates the unwanted RF signals from the power source. Commercial LISNs are fairly inexpensive ($1k-$5k). Couple that with a low end spectrum analyzer ($5k to $10k) or ‘scope with an FFT function and you could re-create your own pre-compliance set up quite easily. If you don’t want to fork out for a commercial LISN, you could create your own. Annex A of CISPR 16-1-2 or section 4.8 of C63.4 give circuit diagrams for several different types of LISNs (or Artificial Mains Networks). You’ll be dealing with mains voltages and a large amount of energy stored in capacitors, so this route can be really dangerous. C63.4 also details usage of a voltage probe instead of a LISN, but the difficulty here is that the impedance presented to the spectrum analyzer isn’t uniform. Given the low cost of a LISN and inferior quality of measurement results using a voltage probe, I wouldn’t recommend this route. If you want to buy a LISN for an in-house setup, we offer them for sale in the online store. In this post, I’ve outlined the reasons for doing pre-compliance testing and presented a comprehensive list of pre-compliance options for radiated and conducted emissions testing. Let me know if you find the info useful in the comments section below. Make sure to share below if you’ve had any success stories with emissions pre-compliance testing in the past, or if you know any other methods for pre-compliance testing! Please also make sure to share this post (and the EMC FastPass Blog) using the buttons to the side with your colleagues if you think they’d find the information useful! Andy Eadie is a former senior hardware design engineer and former EMC test lab owner. He's had a weird fascination with magnets since 4 years old and has been publishing articles, eBooks and online courses since he founded EMC FastPass in 2014. Many a times we conduct Conducted Emission test (in-house)by extending the frequency to 100Mhz assuming, this will give us a good picture about the Radiated Emission. Later we try to correlate it to the Radiated Emission plots. How far will this help us to identify the issues in the Radiated Emission test. The SAC chamber is quite expensive. We usually try to optimize the lab usage.However sometimes we see completely a different behavior on Radiated Emission. Let me know your view on this. I’ll be going into a lot more detail on EMC pre-compliance measurements on the blog soon. For conducted emissions in situ, is it acceptable to carry out a measurement with the UUT off to get the background noise and the noise. Switch the UUT on, measure the emissions and then take the difference between the two? Hey Eno, you wouldn’t need to take the difference – just measure the amplitude of the signal from the UUT. The signals don’t add together in that way so you don’t need to take the difference. It is worthwhile getting a capture of the background noise (or ambient plot) so that you can see what is coming from your product and what was already there. Hello Andy, do I have to measure conducted emissions on a device which is only design to be plug in USB laptop plug ? I mean, it’s only use with DC 5V, so I think I’m not concerning about the EN55022 standard, is it right ? What does a typical EMI test lab cost per hour? What are the standards that need to be followed for setting an EMC precompliance lab in india?